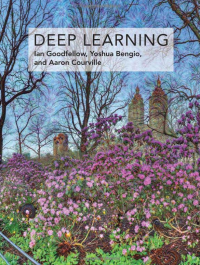 Last Friday, the Deep-Learning Reading-Group who meet at Silverpond weekly to present and discuss chapters from papers and publications reached the end our our deep-dive into “The Deep-Learning Book” by Ian Goodfellow, Yoshua Bengio, and Aaron Courville. The journey has taken us 6 months and seemed like an ambitious commitment when it was first proposed, but has been an invaluable introduction to the subject of deep-learning for myself, and I’m sure, a few others who have attended as well. Deep learning has been applied to many other applications besides the ones described here, and will surely be applied to even more after this writing. It would be impossible to describe anything remotely resembling a comprehensive coverage of such a topic. This survey provides a representative sample of what is possible as of this writing. I couldn’t help but laugh as I read this, since if what we had covered for the last half a year of meetings wasn’t a comprehensive coverage, then woe unto anyone who wants to gain such a thing! Haha! That being said, the field of deep-learning is under constant assult from good ideas, and hoping to provide a survey of the forefront of deep-learning is surely a hopeless endevour. Seemingly the only way to stay abreast of developments is to subscribe to researchers involved in the scene and read as many papers as you can stand. The approach taken by The Deep Learning Book, then, seems to posess far more longevity. Attempting not to survey the front-lines, but instead, the foundations, beginnings, and motivations of the subject. If not for the lack of exercises, this book would be a formidable introduction to the subject of deep-learning; Possibly even more than an introduction – Many digressions into related research and theory abound, providiing a great-deal of entertainment, but also offering distractions if one’s goal is to acquire a speedy understanding of the topic. The impact of these distractions is amplified by a lack of warnings about the aside that is iminent. Often you will only understand that the content was not critical until you’ve progressed past it, having taken significant time and mental effort. Another drawback of the book is that it seems to be pitched at quite a small audience of people who already have a strong understanding of both math and software. If not for the companions I had with me during the course of reading, I’m sure that I would have become frustrated by theory and notation many times and I couldn’t say for sure that I would have stuck with the book. A reading-group is the ideal way to work through this offering. All-in-all, The Deep-Learning Book is a heroic tome that was obviously crafted with great enthusiasm by its authors and has easily earned its place on the Silverpond bookshelf. It is not an easily digested piece of writing, nor is it sufficient to gain an up-to-date, working understanding of the field – Still, I do recommend it.